Bear and moose are featured on the base of the this ceramic Rustic Wildlife Table Lamp and finished in a bronze/brown. 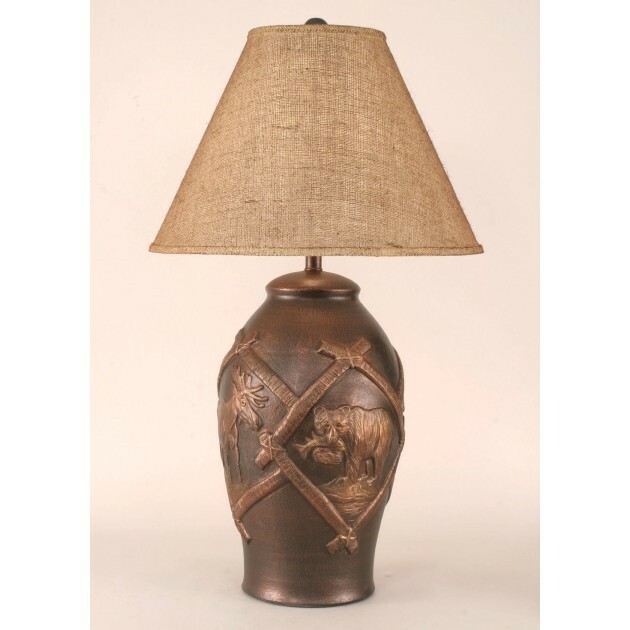 A burlap shade complements the appeal of this Rustic Wildlife Table Lamp. Shade Size: 7" x 18" x 13"